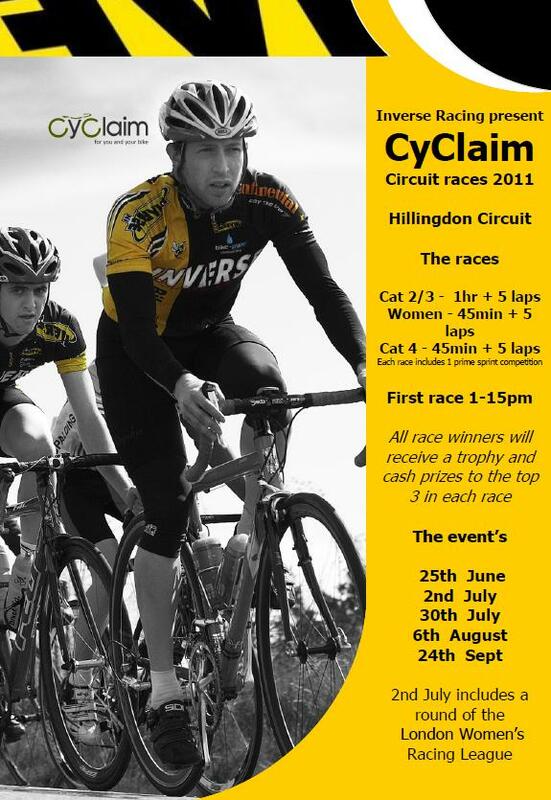 Inverse racing are promoting a series of events across summer at Hillingdon circuit. Details can be found in the posted below. This entry was posted in Events, Hillingdon Cycle Circuit, Road Racing. Bookmark the permalink.